Today we have a guest post by RPG writer and publisher Christopher Grey, detailing his experience at Strategicon’s Gamex, running Gallant Knight Games’ Tiny Dungeon 2e! Read on to hear what Christopher thought! Gallant Knight Games is pleased to announce they have entered in a deal to serve as a distributor for the Adventures in the East Mark roleplaying game on behalf of Hardboiled Games, who has acquired the rights to the English Language translation of AEM from Nocturnal Media. 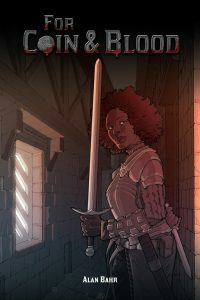 Gallant Knight Games will distribute Hardboiled Games products like Adventures in the East Mark “Red Box” via DriveThruRPG, Print on Demand, and through Gallant Knight Games convention appearances, website and brick & mortar relationships with distributors. Alan Bahr of Gallant Knight Games and Nocturnal Media will be assisting alongside Hardboiled Games as a project manager in order to provide continuity for backers and customers, ensuring that the games they love are supported. Hardboiled Games is a new roleplaying game company, created in part to finish, fulfill, and support projects like the Hellywood Kickstarter, AEM and other great games, in order to reduce the workload at Nocturnal Media in the wake of Stewart Wieck’s passing. Hardboiled Games is finishing and preparing delivery on the outstanding Hellywood project from Nocturnal Media and will then begin preparations for the launch of a Kickstarter Campaign to fund the “Blue Box” expansion for Adventures in the East Mark. You can purchase the book by clicking on the picture! Print on Demand is coming soon! Open Call for TINY SUPERS Micro-settings! 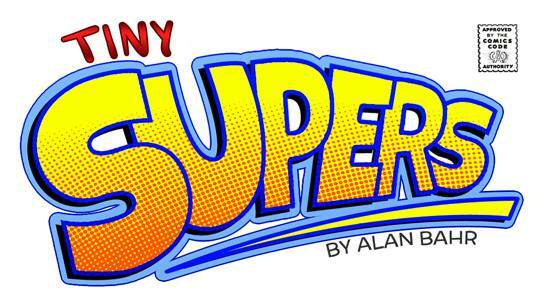 Tiny Supers is coming! And we want you! We’re opening up the floodgates, and allowing anyone who wants to submit a pitch for a micro-setting to do so. Anyone is welcome to apply, and this is a paying gig, at the Gallant Knight Games standard professional rate. Micro-settings are 1500 words in length. Your pitch shouldn’t be more than 100 words long. You won’t have to start writing until your stretch goal is hit on the Kickstarter. We’re aiming to have Tiny Supers on Kickstarer in May, and you would be expected to deliver the final product to us for editing by the end of June. We will be leaving the Open Call open through April 1st, so if you want to submit you have some time! Simply go to the link at the bottom of the page here, and submit! Obviously anything you are paid for becomes the property of Gallant Knight Games. We’re not jerks. If we don’t use your submission, you obviously own it. But if we hire you, you’ll need to sign a contract and that contract will indicate we own it. Don’t submit offensive, hateful, racist, sexist, or any “-ist” pitches. We’re not interested in that. That’s pretty much an automatic no go for us. We try to keep stuff PG-13 at worst on our TinyD6 line. Nothing that’s a blatant rip-off or IP theft from another company. New Site & New Year! As you can see, we’ve got a new site! We’re still working out some of the store bits, but we’re getting close to fully up and running! Thanks for your patience as things sort out here. We’re excited for 2018!